To intensely heat (as with inorganic materials) to a high temperature, but without fusion, in order to drive off volatile matter, or to effect changes (as oxidation or pulverization.) What remains is a fine dry powder. Fire transforms solid matter into ash. Inner heat transforms food into energy and thoughts into emotions. Get fired up and get going. Mindless passion and a hot temper in the heat of the moment. 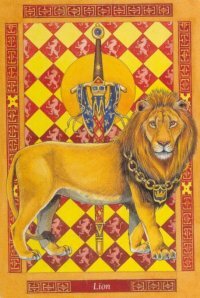 The Lion is a solar symbol often shown opposite the Unicorn. It symbolizes courage, bravery and nobility. Like Ravenclaw, house rooms are in a tower. 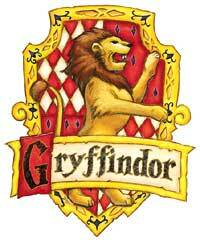 In the case of Gryffindor, the entrance to the common room is located behind a large painting of a Fat Lady in a pink silk dress on the seventh floor. Latin: solutio; solvere = to loosen, to solve. In the solutio process, the solid seems to disappear into the solution as if it had been swallowed up. Clearly, the people we've met in Slytherin so far represent the most negative aspects of water - such as thirst/compulsiveness. But I believe that there is much that we have yet to see about the positive side of this house. The serpent is the perfect example. From a fundamentalist Christian perspective, the serpent is known as the tempter of Eve; Satan in disguise. Yet serpents are associated with healing gods and goddesses (e.g. Asclepios, Brigid) as well as wells. "The word "insinuate", coming from the same root as "sinuous" and "sine", also implies deviation from the straight and narrow, like the word "devious". We refer to some people as "creeping" or "crawling", more pejorative words. "Low cunning" has the same kind of connotation. Another negative word is "backsliding"." Yet, given Rowling's proven erudition, I wouldn't discount idea that the word "cunning" may be a double entendre, rather than simply a negative slight. Cunning Folk - "Cunning-folk, who were also known as wise-women, wise-men, conjurors and wizards, were an integral part of English society right up until the early twentieth century. Over the centuries hundreds of thousands of people must have consulted them regarding a wide range of problems, but particularly those concerning affairs of the heart, theft, sickness and most important of all witchcraft. They were multi-skilled, or at least professed to be so. They practised herbalism, treasure-seeking and love magic. They revealed the identity of thieves and divined the whereabouts of lost and stolen property. The more learned cunning-folk also practised astrology, while the less learned pretended to be masters of the art. The most lucrative aspect of their business was the curing of those people and animals who were thought to be bewitched, and also the trade in charms to ward off witches and evil spirits." "Wells and springs were reputed in folklore to be the entrances to the Other Worlds and, like thresholds the world over, many of them had guardians. ...serpents were said to have guarded Ffynnon Sarff near Caerrnarvon and Grinston Well in Pembrokeshire (a winged serpent in this case). 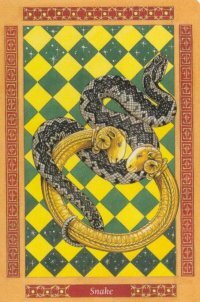 Giraldus Cambrensis tells of a certain well in Pembrokeshire (without unfortunately identifying it) that there lived within its depths a viper which guarded a golden torc - and bit the hand of any would-be treasure hunters." Monstrous guardians of the waters - It's not all benign though. "The last were dragons or serpents, conventional forms of the reptiles which once dwelt in watery places, attacking all who came near. This old idea certainly survived in Irish and Highland belief, for the Fians conquered huge dragons or serpents in lochs, or saints chained them to the bottom of the waters. Hence the common place-name of Loch na piast, "Loch of the Monster." In other tales they emerge and devour the impious or feast on the dead. The Dracs of French superstition--river monsters who assume human form and drag down victims to the depths, where they devour them--resemble these." Possibly like Hufflepuff, the house rooms are below ground. 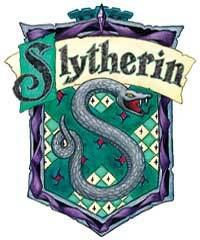 The Slytherin common room is a low-ceilinged, dungeon-like room with greenish lamps and chairs. It is located under the lake. Latin: coagulum =to curdle; from cogere = to drive together. The process which turns something into earth. For example, cooling which turns a liquid into a solid. 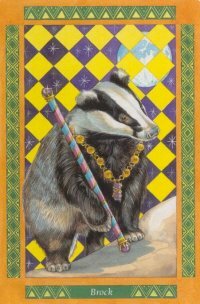 The Brock, or Badger is steady, tenacious, and home-loving. Badger is sociable, living with his family in large underground catacombs called "setts". A superb digger, it is able to see beneath the surface of people and things. It has great courage and power when angered or driven to extreme measures. It is unyielding in the face of danger. A member of the weasel family, the badger’s size, strength, and aggressive retaliatory behavior make it a formidable opponent for most potential predators, but they are not aggressive unless trapped or injured. 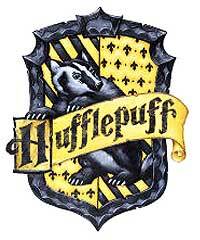 I think of poor overlooked Hufflepuff as the HP equivalent of the Hobbits in LOTR. Presumably, like Slytherin, the house rooms are underground. The exact location is yet unknown, but down a staircase off the main hall. Cellar-like in appearance. Latin: sublimis = to elevate over a threshold. To cause to pass off from the solid to the vapor state by heating, and again to condense into solid form. The eagle is a solar symbol, as is the lion. In fact the pair often appear in alchemical emblems. According to legend, it can stare at the sun without blinking. 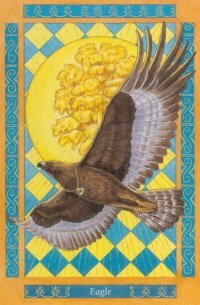 The eagle is associated with ascension, inspiration, freedom, and temporal and spiritual power (it is one the symbols of Jupiter). Like Gryffindor, house rooms are in a tower. 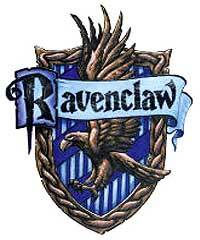 Ravenclaw Tower is located on the west side of the castle. And this is the root and foundation of all bodies, natures, virtues, and wonderful works; and he which shall know these qualities of the elements, and their mixtions, shall easily bring to pass such things as are wonderful, and astonishing, and shall be perfect in magic.